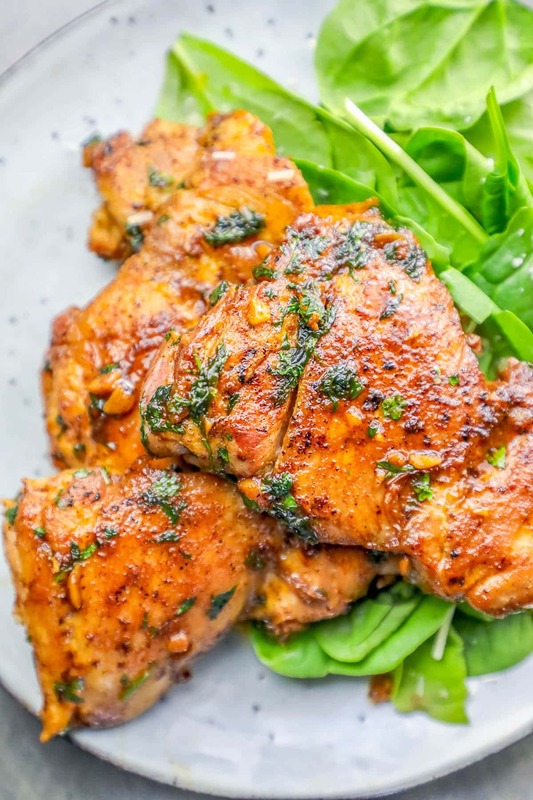 Blackened Chicken Thighs with Garlic Butter Sauce are easy, decadent, and so delicious – in one pot under 20 minutes! 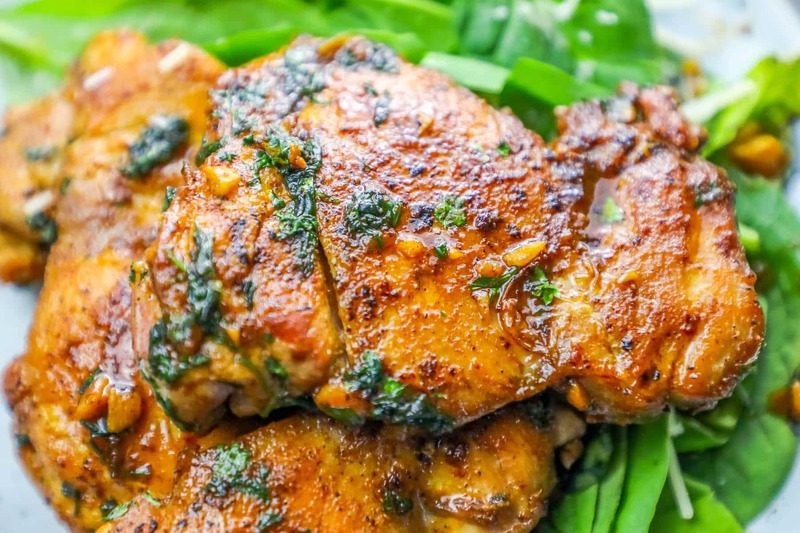 Chicken thighs are one of the easiest, quickest, and most delicious chicken dinner options – and they are so budget-friendly, they are in often rotation in our house. 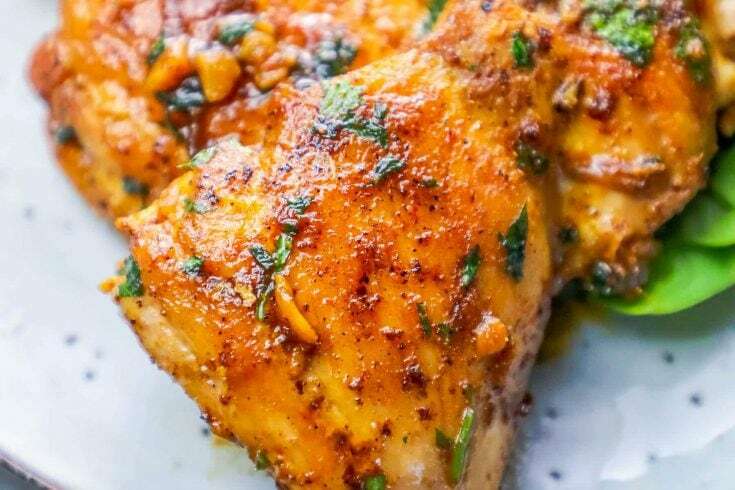 I love delicious butter-fried chicken thighs (I’ve been sticking to a super low carb diet, and they are so versatile and delicious, it is easy to stay on the diet with gorgeously rich food like this blackened chicken with garlic recipe) – and I LOVE anything with blackening spices. Since we’re using blackening spices, and reducing the sauce, do NOT add extra salt. 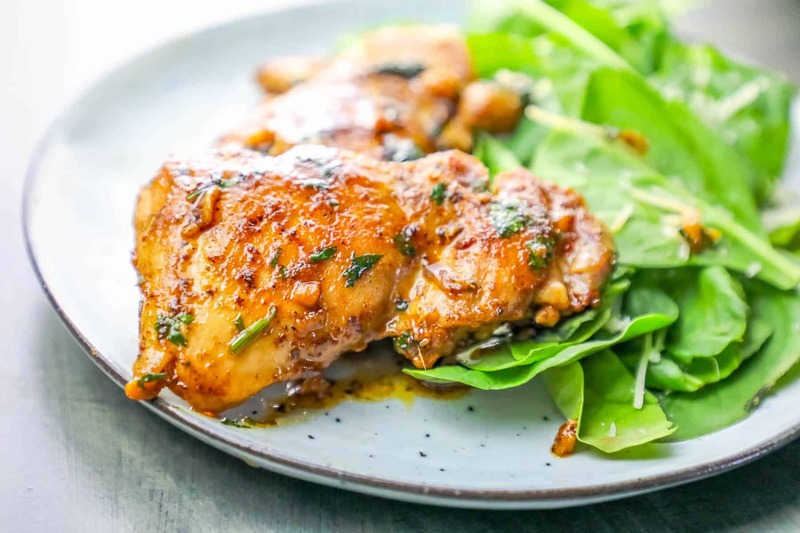 The sauce will be quite salty on it’s own – do try to use unsalted butter and low-sodium chicken stock, as most blackening spices are quite salty on their own! Toasting the blackening spices in the hot butter helps to bring out a deeper, richer, more buttery flavor – you don’t want it to burn, but letting it develop in hot butter before adding stock gives the spices a lovely flavor you won’t get if just dumping in after stock and boiling. If you over-reduce your sauce, don’t worry too much. Add a little water to thin it, or grab a heavy cream and whisk it in! 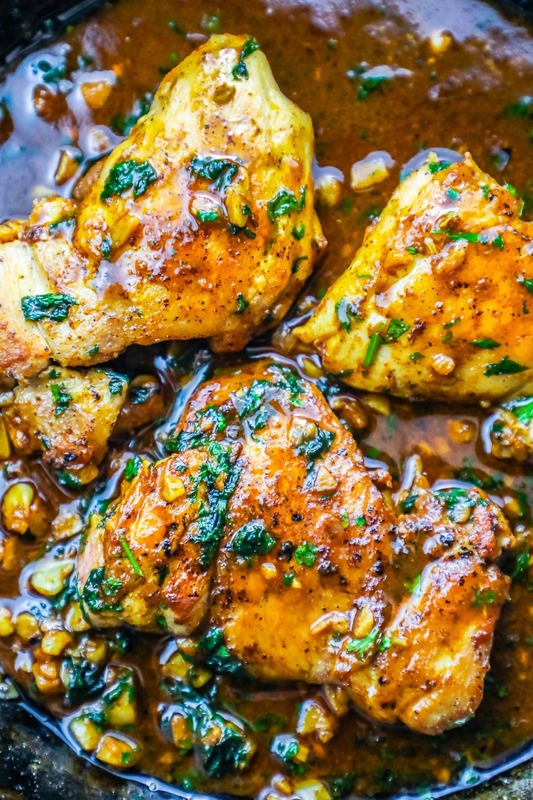 When cooking your chicken thighs, there are two steps – the browning, and the cooking to temperature. These steps are equally important (well, ok, the cooking to temp is slightly more important because nobody wants salmonella…) – and shouldn’t be rushed! 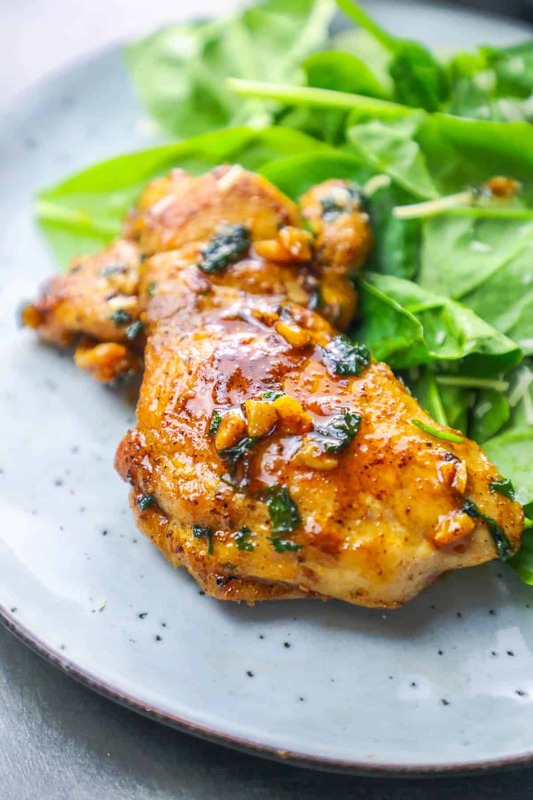 Browning the chicken before adding any of the ingredients for a sauce is critical for a lovely, buttery crunch to your chicken – and removing it while setting up the sauce gives the chicken a chance to rest and lock in juices before cooking the rest of the way in the sauce. 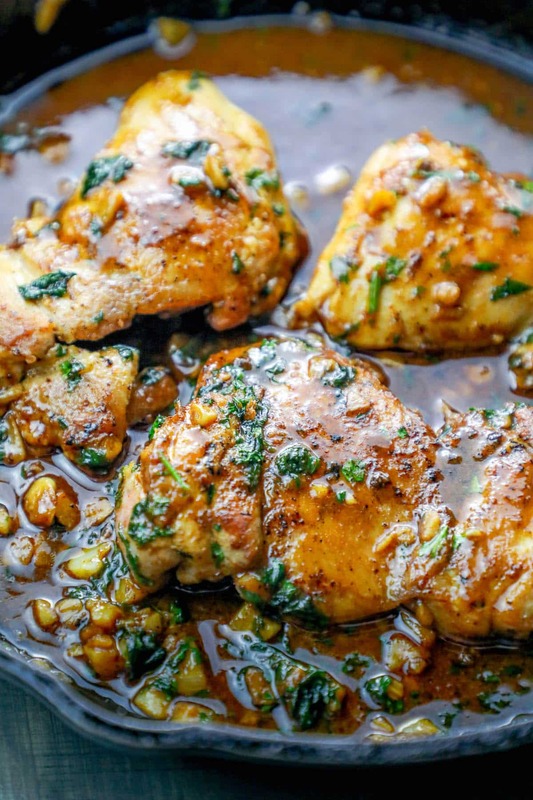 If you just make the sauce with the chicken in the pan, you’ll end up just boiling it the rest of the way – which can result in a gummy, soggy texture. 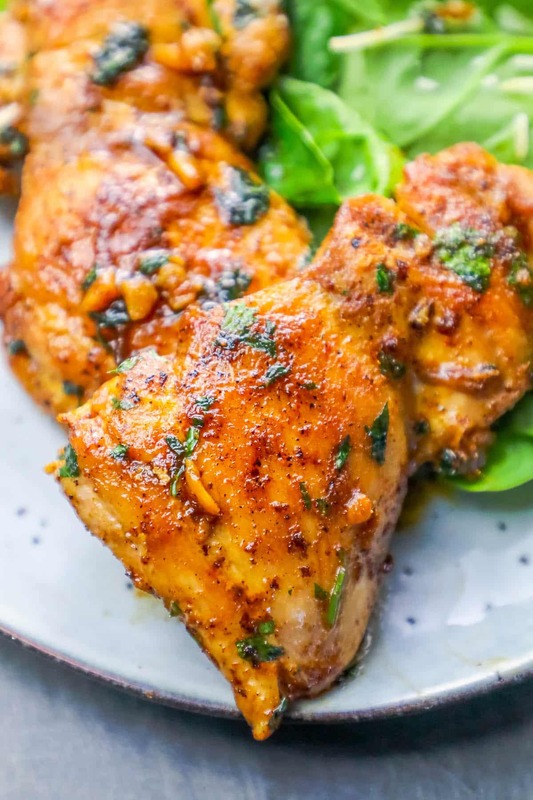 Let your chicken get a quick timeout before sending it to the blackened garlic butter hot tub party 🙂 ! 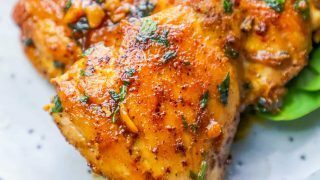 Blackened Chicken Thighs with Garlic Butter Sauce are easy, decadent, and so delicious - in one pot under 20 minutes! 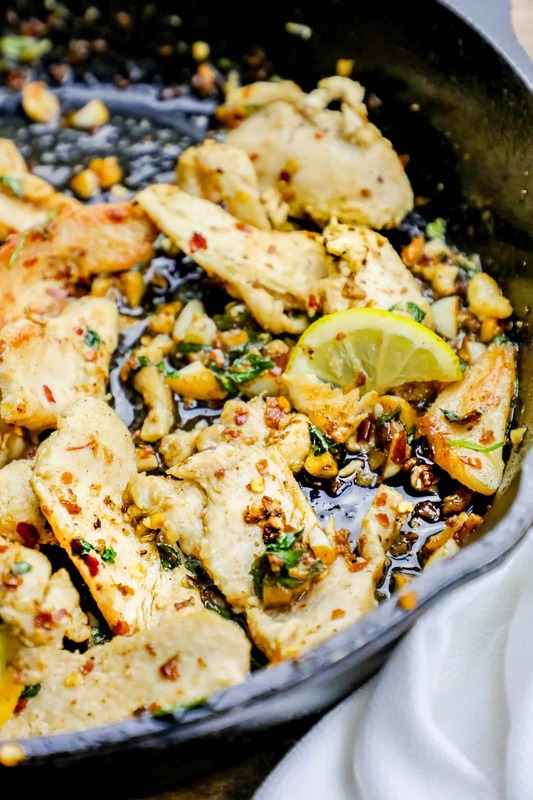 Heat heavy skillet or pan on medium high heat. 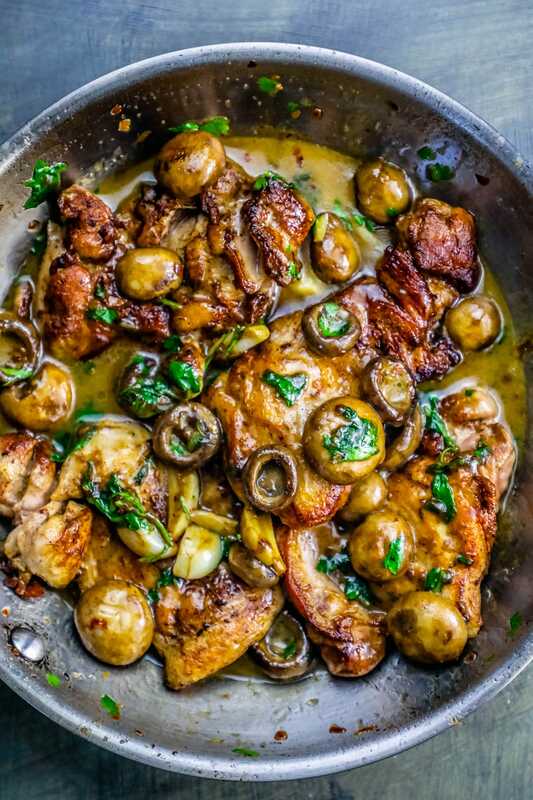 Add chicken thighs, let brown to a deep golden brown on each side, flipping after about 3 minutes. 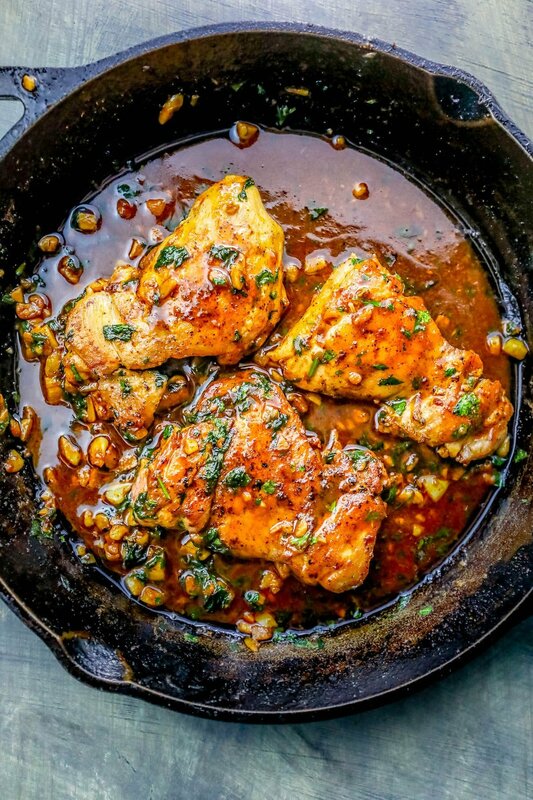 Remove chicken thighs from pan when browned on each side (not fully cooked through), set aside. Add other 1/2 butter and garlic to pan. Let garlic brown, about 3 minutes. Add cilantro, blackening seasonings, stir and heat 1 minute. Add stock, let boil and reduce slightly - about 2 minutes. Add chicken back to pan and let cook rest of the way to 165 internal temp while sauce reduces, about 6-8 minutes, stirring occasionally to prevent burning. 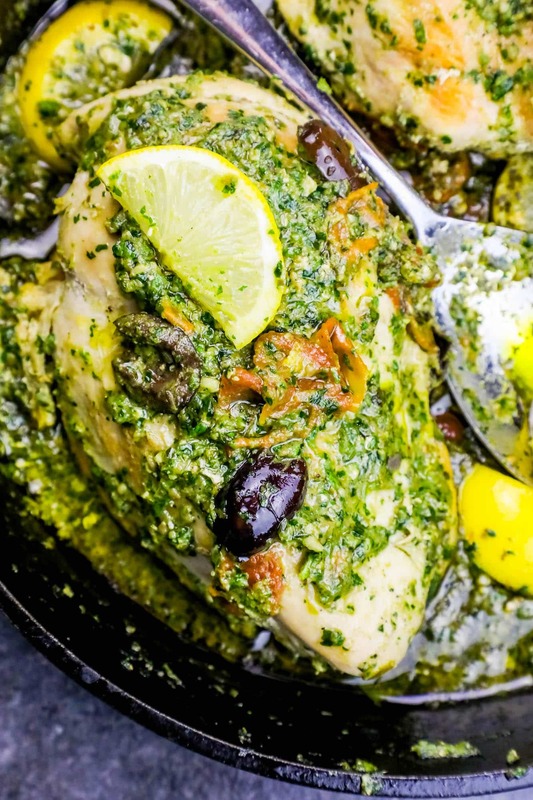 If you love simple, easy chicken dishes, I have so many I’d love to share with you! Be sure to click the videos to preview each dish, and then click the links or the pictures to find the printable recipe for each! While I understand your frustration, I get tons and tons of requests for the information you toss aside as “stuff” – there are a lot of people who read my website regularly and might not have the same comfort in the kitchen or the skills for things some might seem as basic. 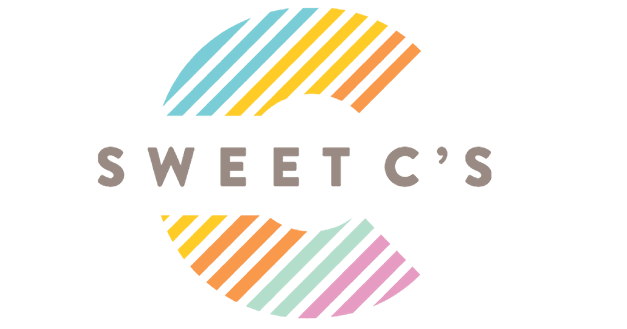 I’m trying to share my joy of creating delicious dishes to the widest audience possible. First let me tell you how much I enjoy your site. I love your recipes. I do however find it bothersome to do massive amounts of scrolling when I’m just searching for which recipe to make that day. How about you add a “direct to recipe” option at the beginning? It would be much appreciated. Thanks again for a great site!